People are inspired to sing when they feel that they know the music, even when they don’t, says Thomas Wilson, director of music at St Mary’s Cathedral, as the choir prepares for a special, inaugural Christmas concert, A Christmas Celebration, on Friday evening, 18 December. And they won’t be on their own. Players from the Sydney Symphony Orchestra and other ensembles will join them for the ticketed event along with eminent readers such as the former Governor Dame Professor Marie Bashir among them. The Archbishop of Sydney, Archbishop Anthony Fisher OP, will also lend his musings and ruminations to the occasion, giving a special Christmas address. But the true hero of the evening will be its music – pieces by J S Bach, Handel, Haydn, John Rutter and James MacMillan, along with traditional and much beloved carols. “The cathedral is a wonderful place to be at Christmas,” Mr Wilson said, speaking to The Catholic Weekly late last week. “There’s a great energy, really from the minute it opens in the morning, all the way through to the end of the day. The concert was born of a twofold desire to make St Mary’s traditional carol service, usually held on a Friday night, more accessible by moving it to a Sunday afternoon, while also creating a stand-alone event to take the cathedral’s usual musical excellence to new heights. “In every way we’ve just upped the ante for the concert,” Mr Wilson said of the event, a continuation of what the choir gives to the cathedral and its thousands of visitors nearly every day of the year. “People sing when they feel that they know the music, even when they don’t. “And I think there is a way of crafting even new music for the liturgy that can feel natural and familiar to people who may have never sung it before. 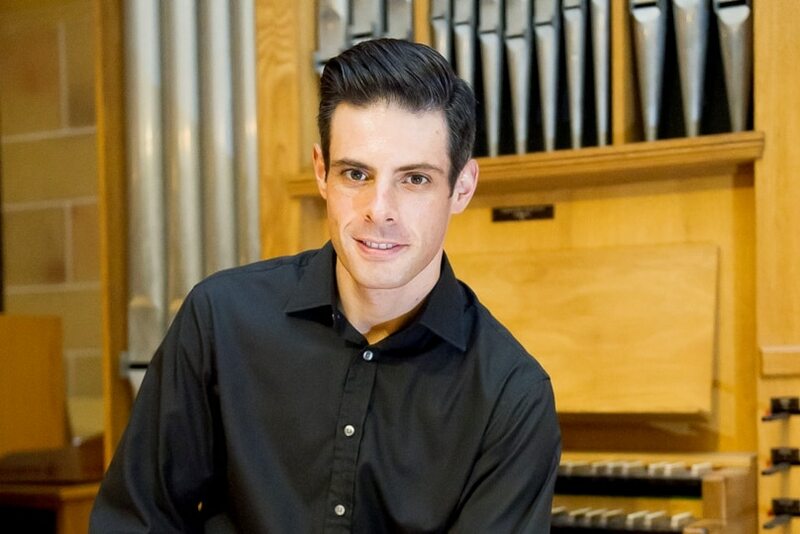 The New Zealand-born organist and music scholar joined St Mary’s as its music director in 2010 after six years in England with positions at Ealing Abbey and Westminster Cathedral. This special concert has been made possible with sponsorship by WN Bull Funerals. Now five years into his role at Australia’s mother church, Mr Wilson says it is a constant but welcome challenge to “find new ways to inspire the people that sing; from the littlest boy chorister who is walking in the room on his first day, all the way up to the adult professional men of the choir, to the volunteer singers in our other choir, the St Mary’s Singers”. “That challenge includes all the people who come into the congregation and it requires constant refining of the way we go about it, of the way we make music accessible and exciting and inviting for people. And that’s something I’ll never stop learning about,” he said.